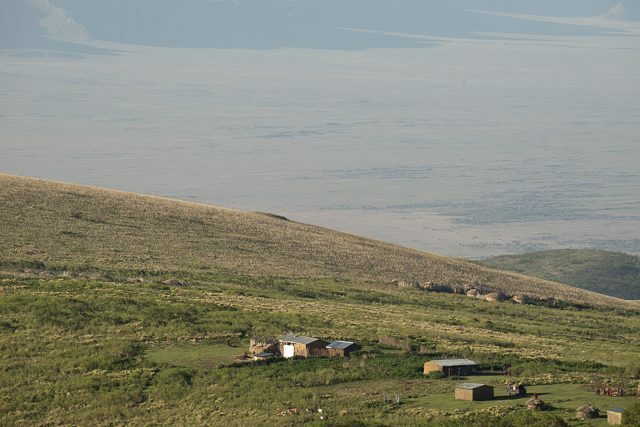 The Highlands is situated high on the slopes of Olmoti Volcano, and at 2,700m (8,850ft) is the highest camp in the Ngorongoro Highlands area. 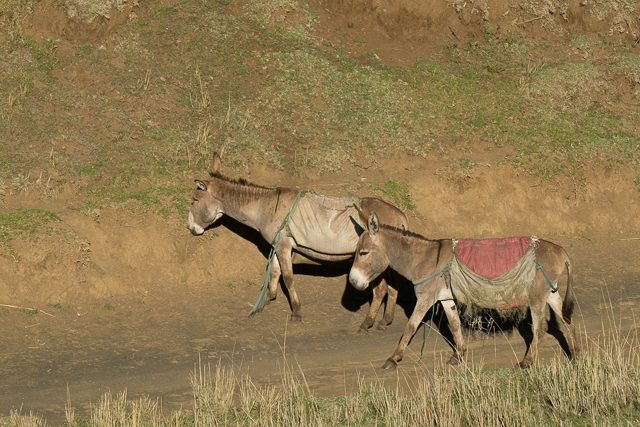 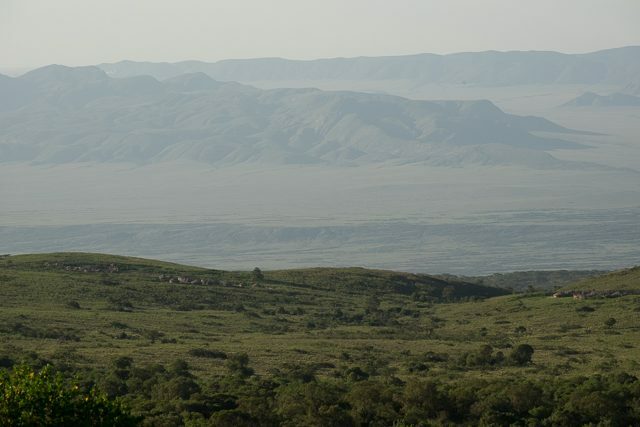 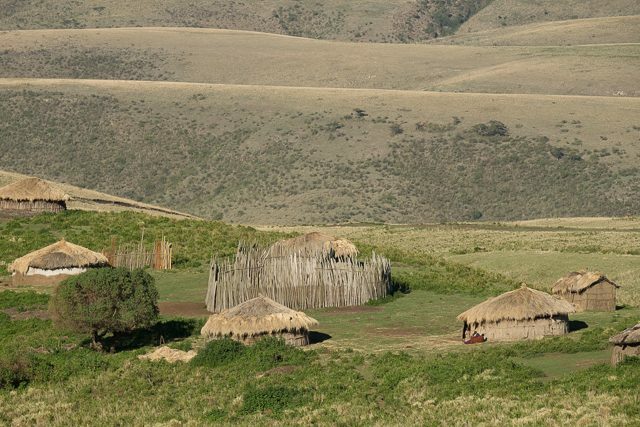 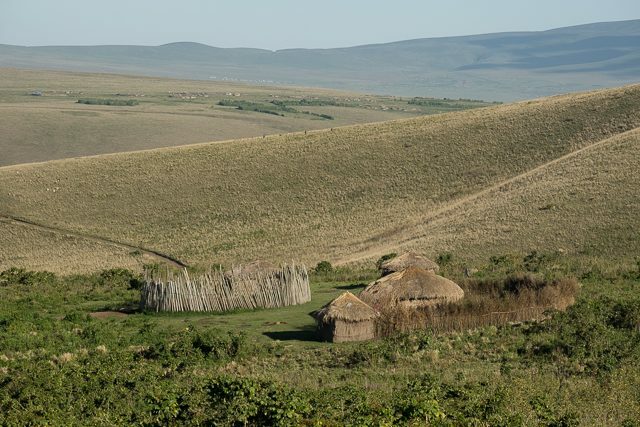 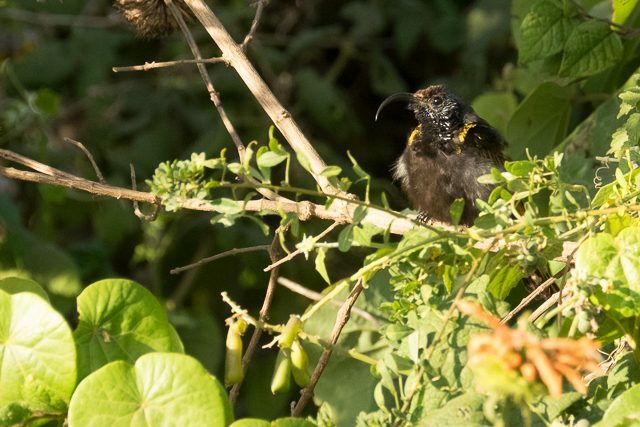 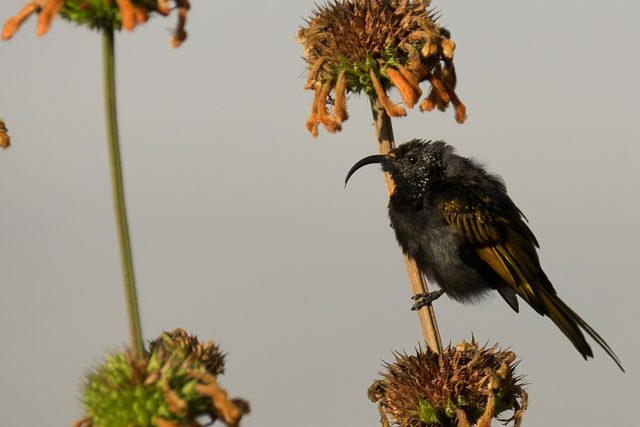 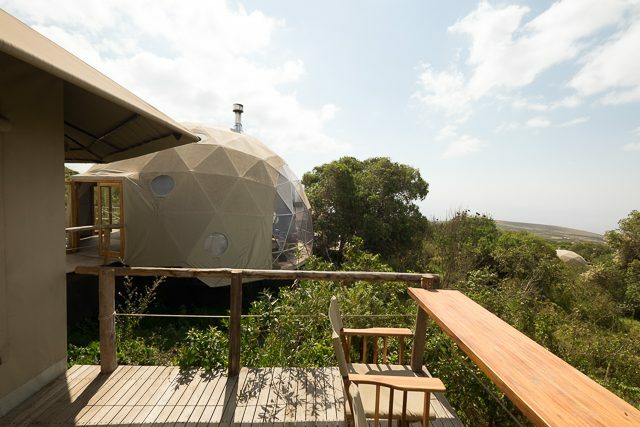 The extinct Olmoti rests between The Highlands and the massive caldera of Ngorongoro Crater. 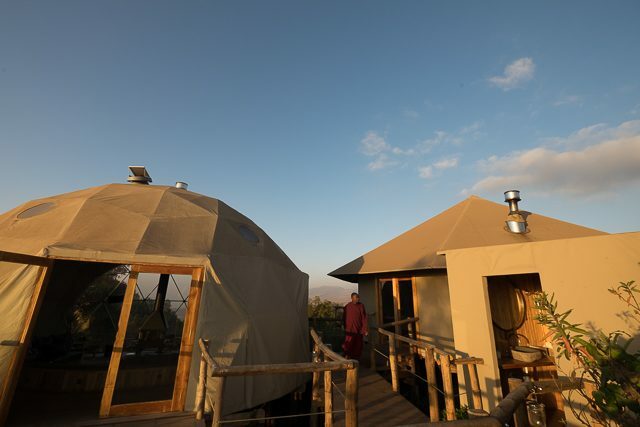 This is a remote area, far from any other lodges and camps, although it takes only about an hour to drive into Ngorongoro Crater. 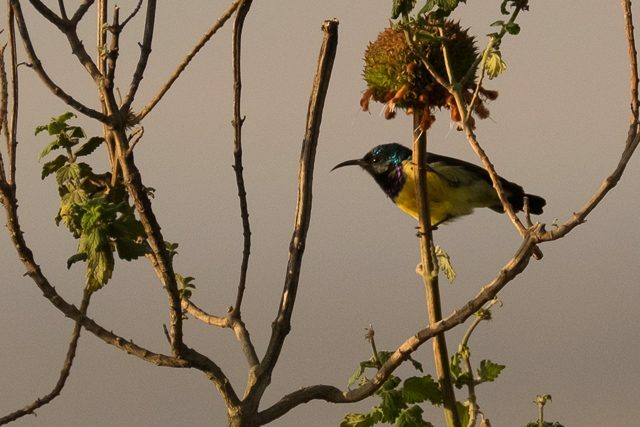 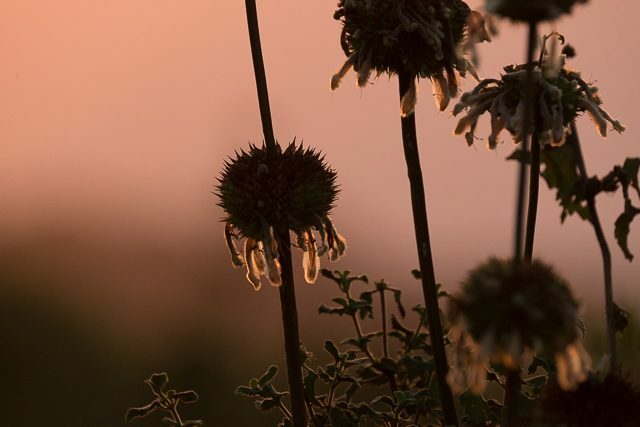 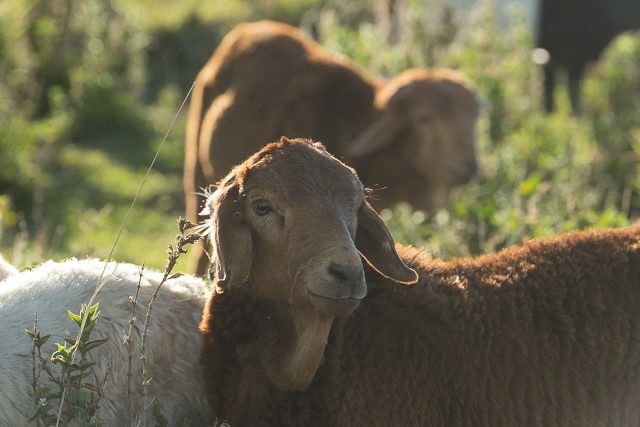 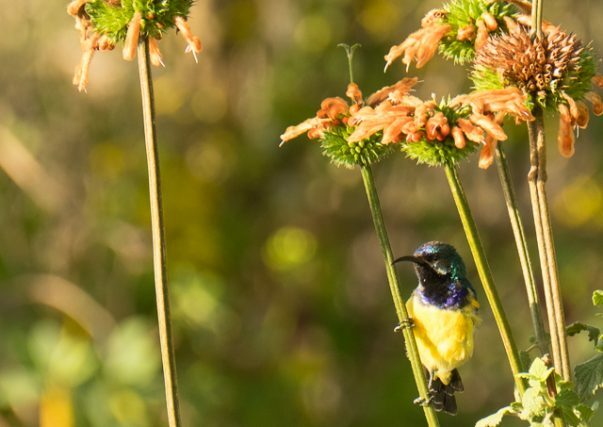 It can be quite chilly here in the cooler months of June-August, and is especially outstanding in the dry warmer months of September and October, and after the short rains, from December to March. 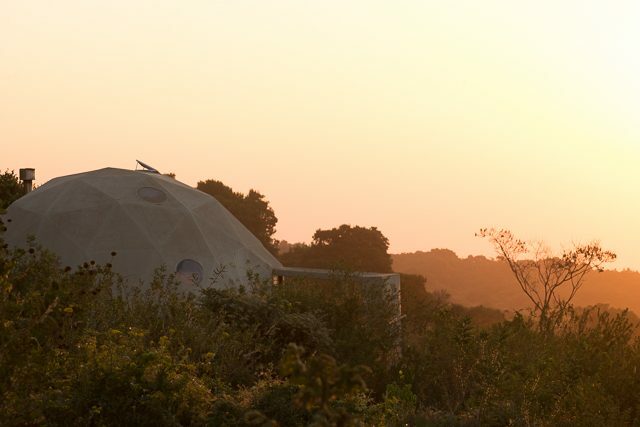 This architecturally stunning boutique lodge consists of timber and perspex structures, somewhat reminiscent of a hidden refuge, or space domes, on another planet! 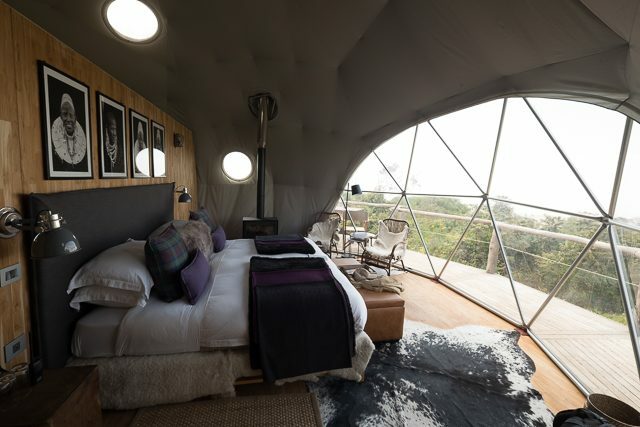 Each dome enjoys views out to the north-west, across the vast Serengeti Plains and the truly ancient Gol Mountains which lie to the north. 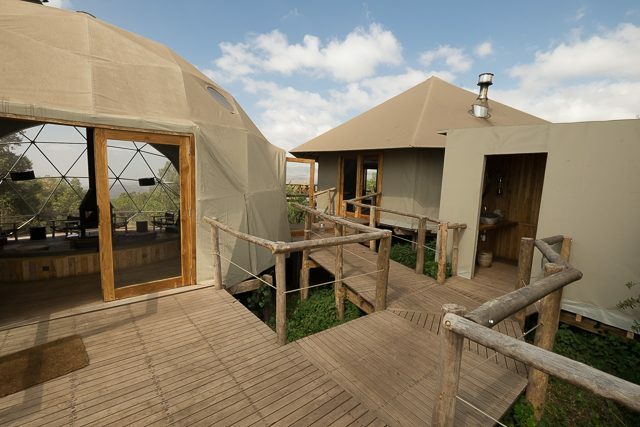 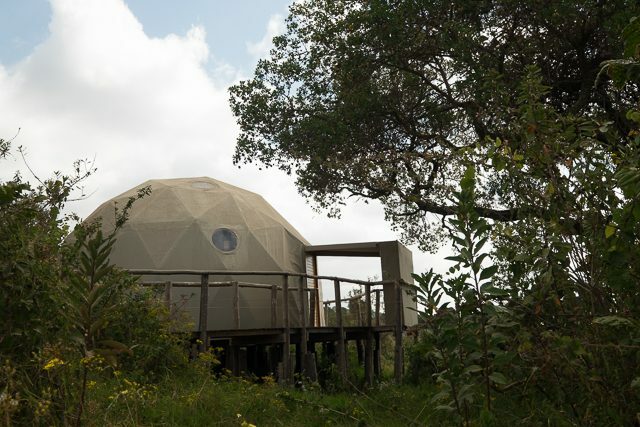 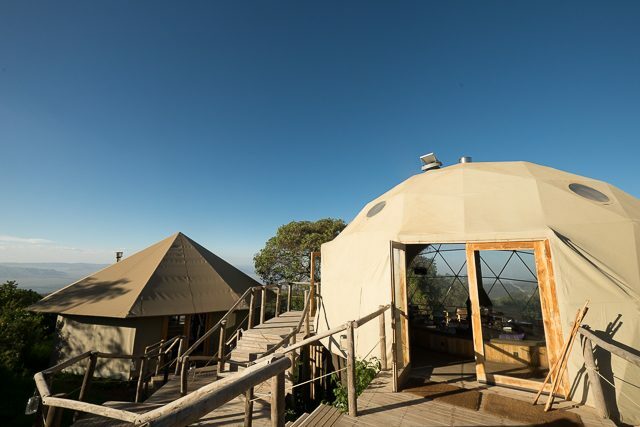 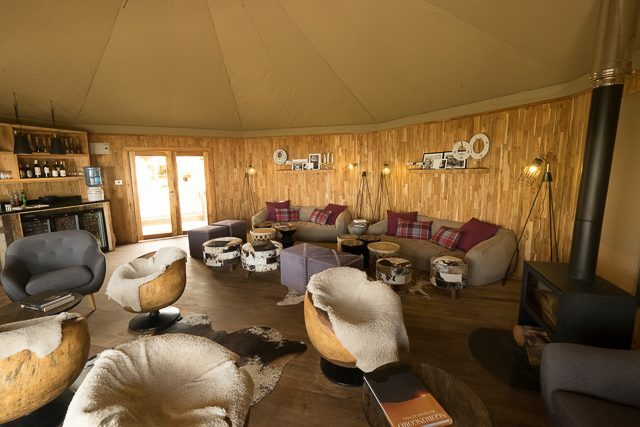 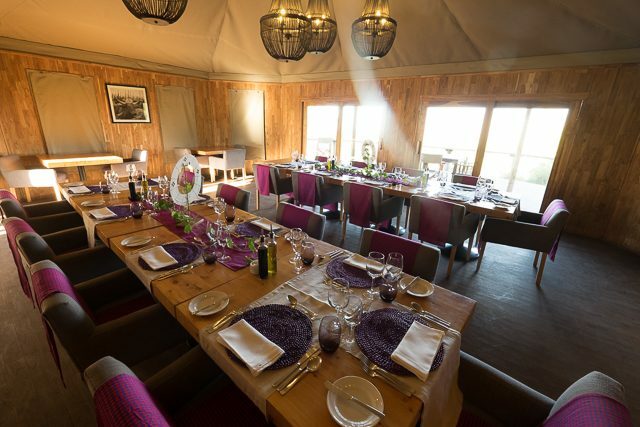 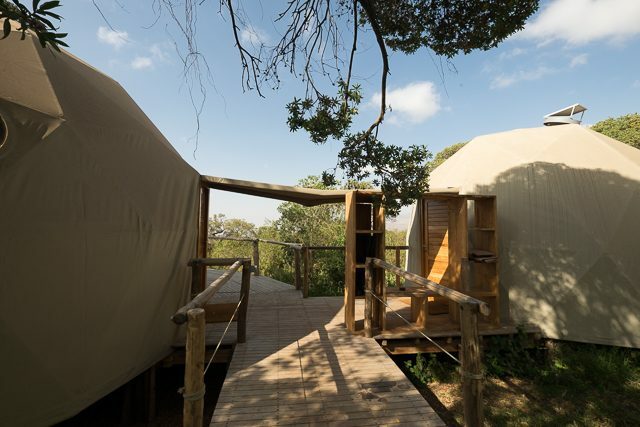 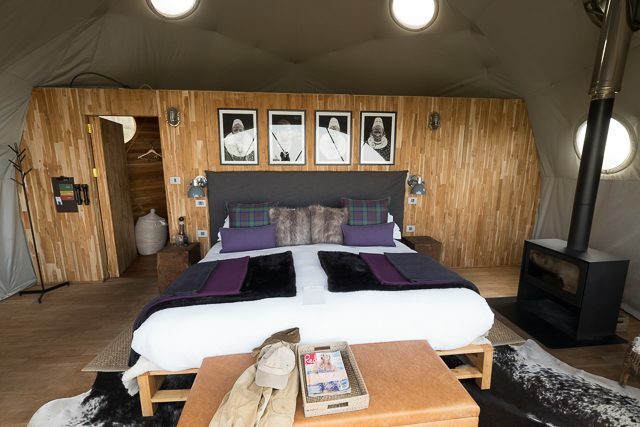 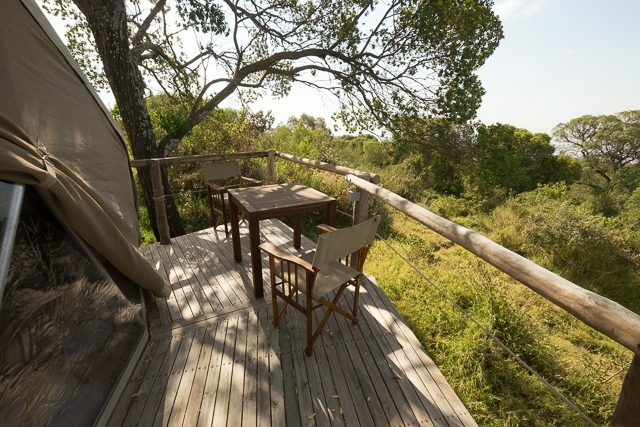 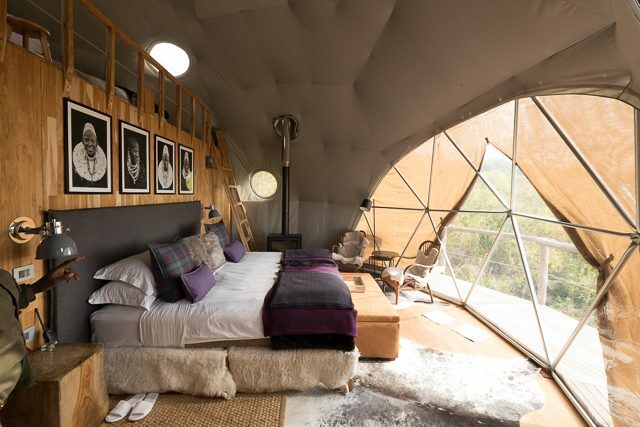 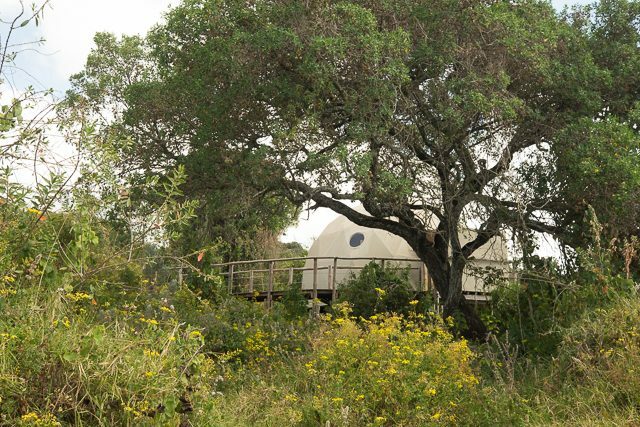 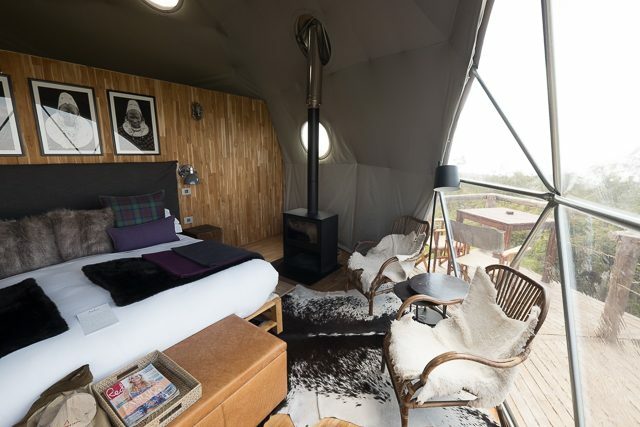 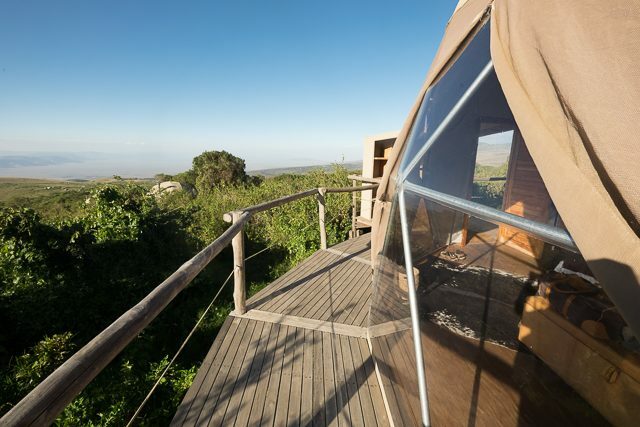 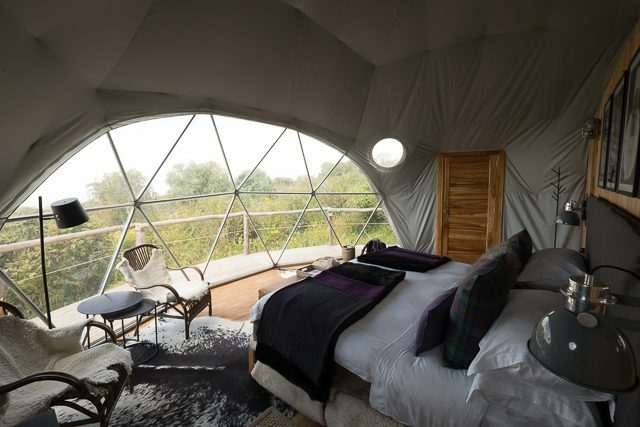 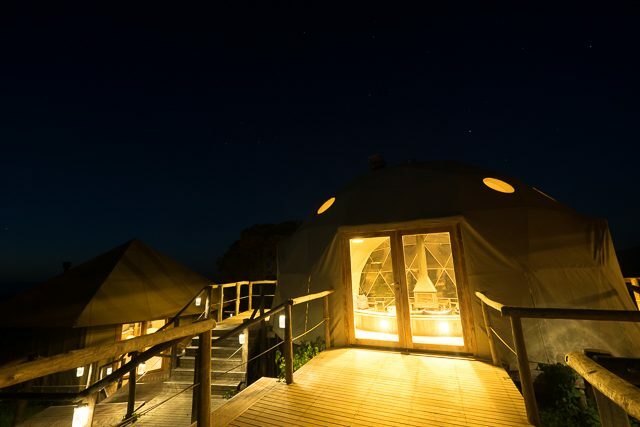 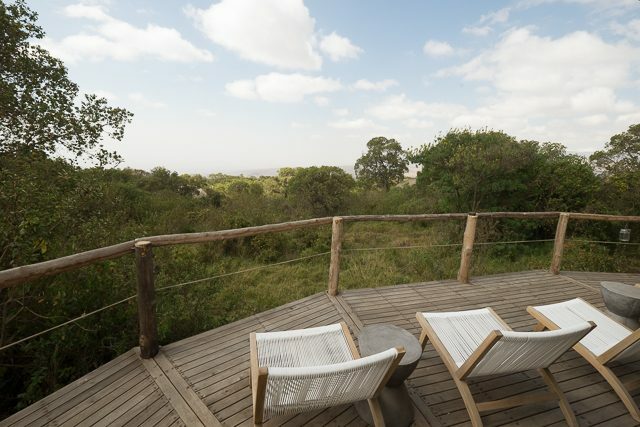 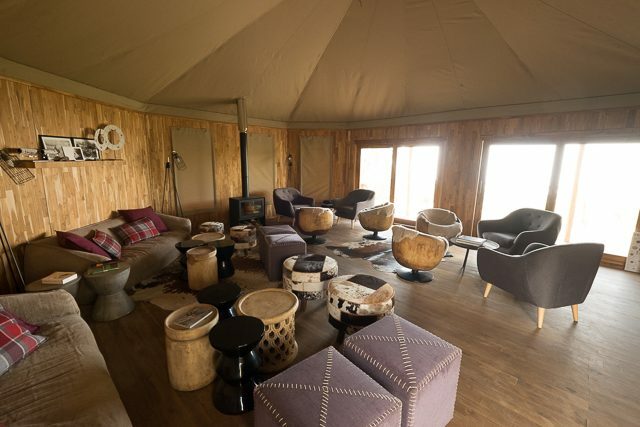 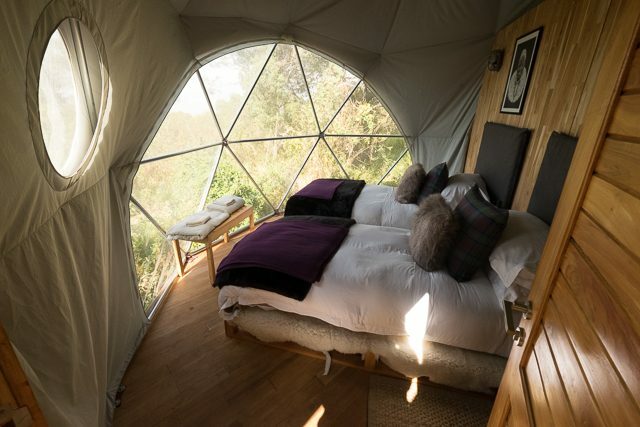 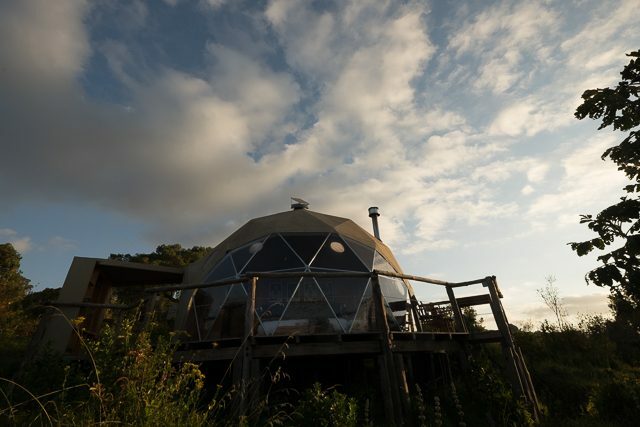 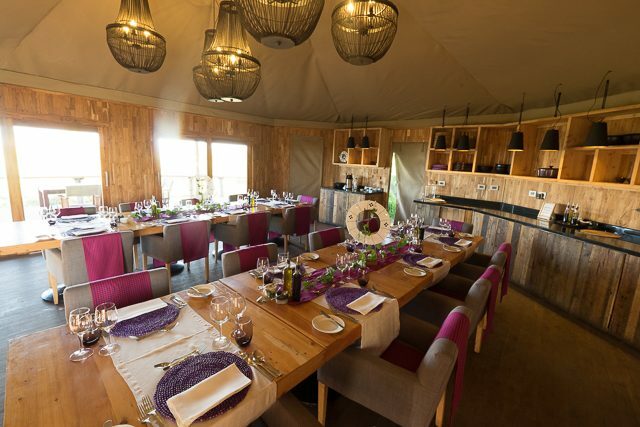 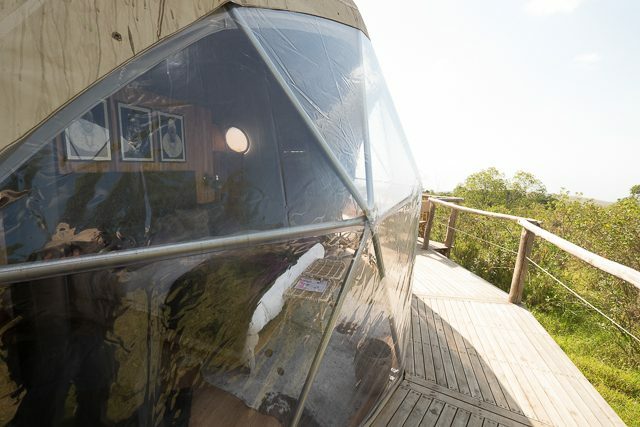 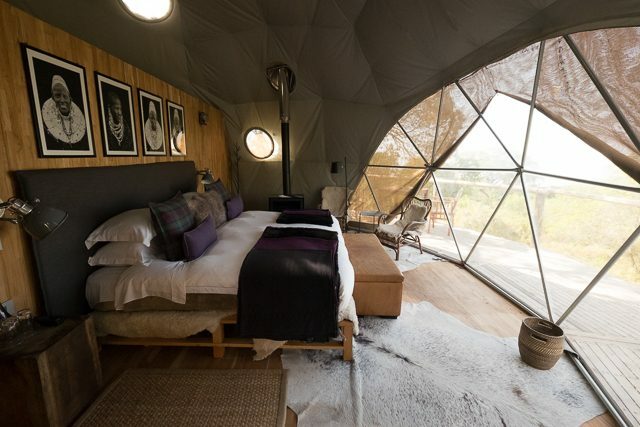 The lodge has only eight of these stylish timber and perspex accommodation domes, including a family room (a normal dome and a mini children’s dome accessible from the same wooden deck) and a honeymoon dome. 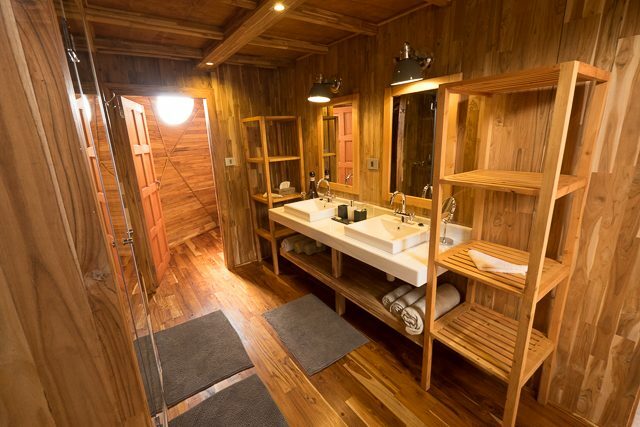 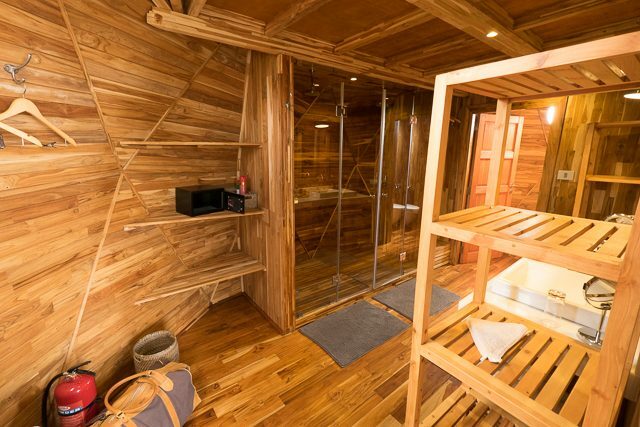 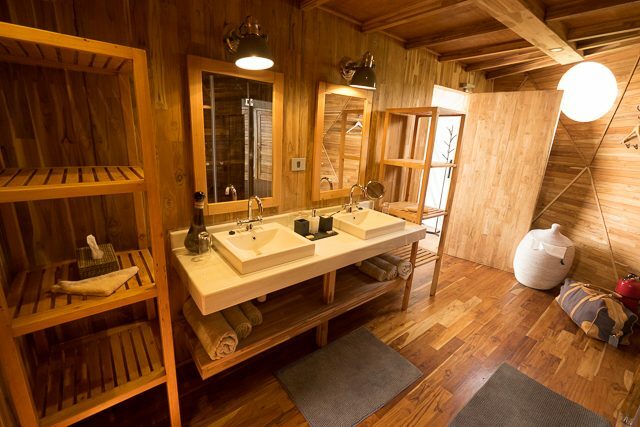 Each chalet comprises a bedroom section with huge windows, allowing light and the stars to shine through, with a wood-burning stove for warmth, and an en-suite timber bathroom area, sporting a his and hers shower with hot and cold water, washbasins and a flush loo. 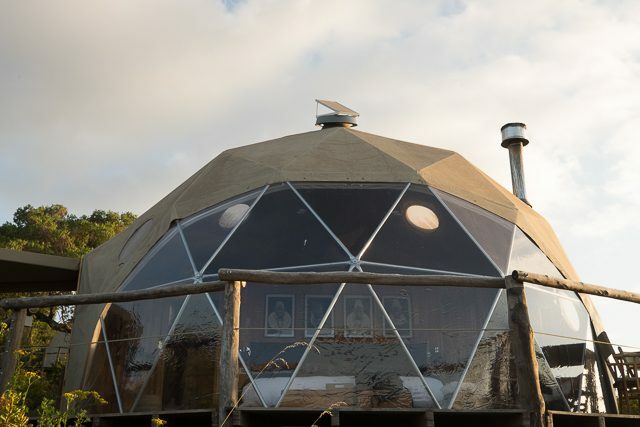 The main lounge area comprises three main domes: a bar, a library and reception lounge, and a dining dome. 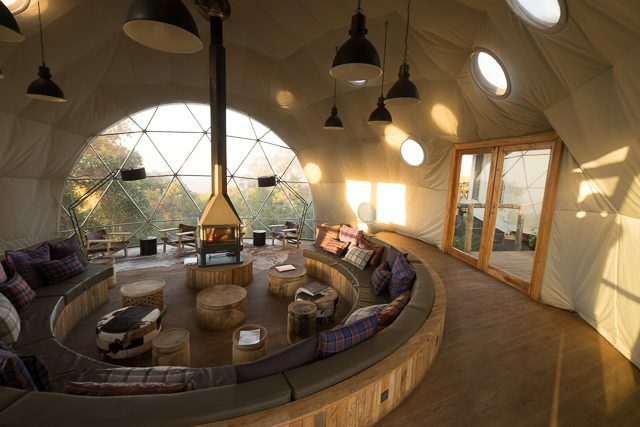 An innovative indoor fireplace enables a campfire experience on frosty nights. 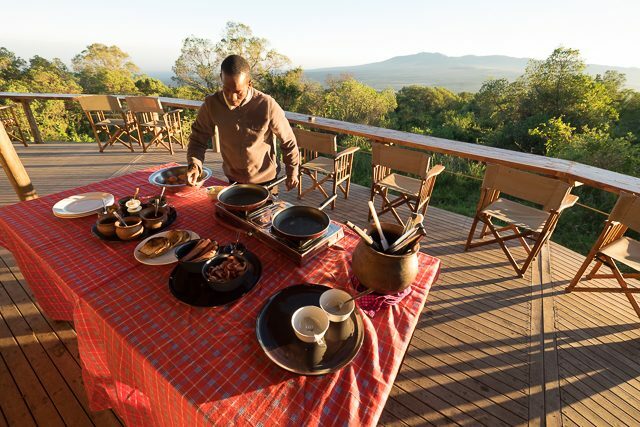 On sunny mornings it is possible to enjoy breakfast on the wooden balcony deck. 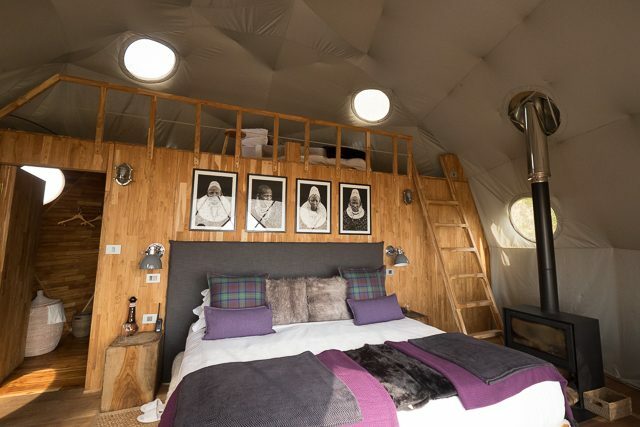 The location of The Highlands makes this wonderful for a three night stay. 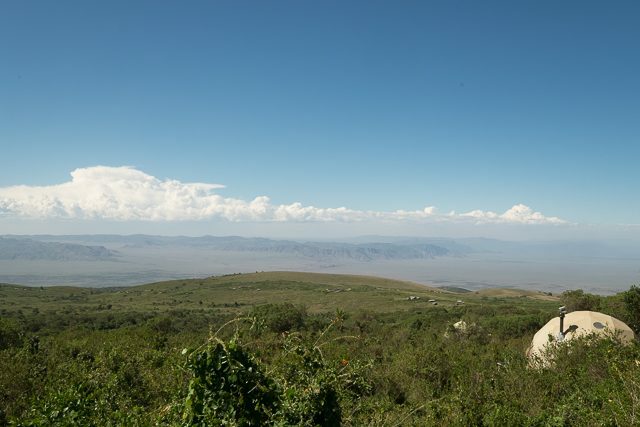 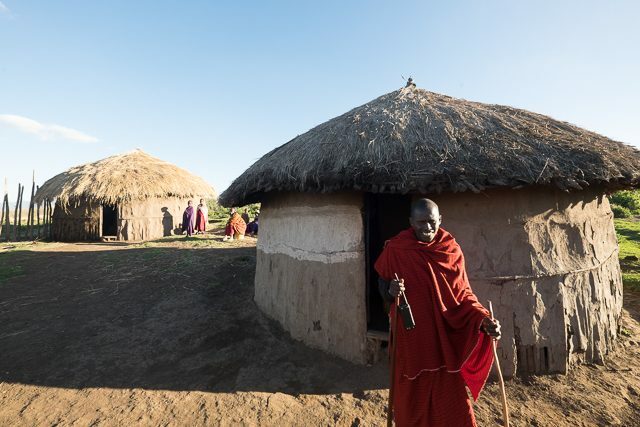 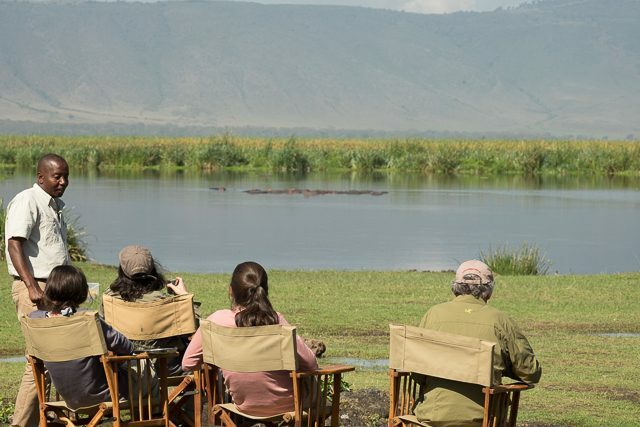 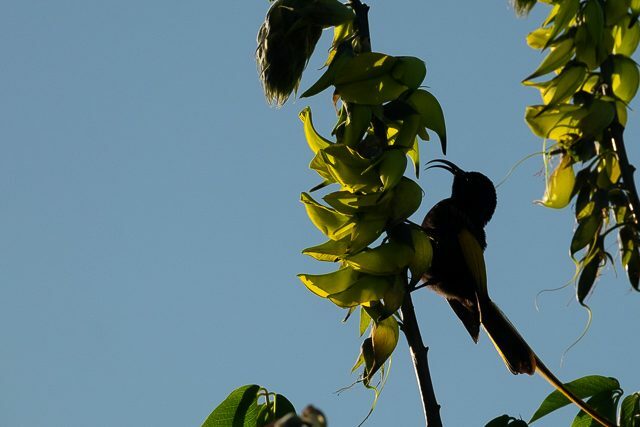 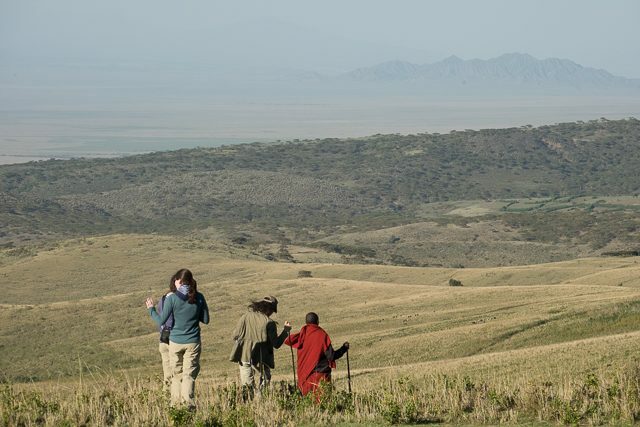 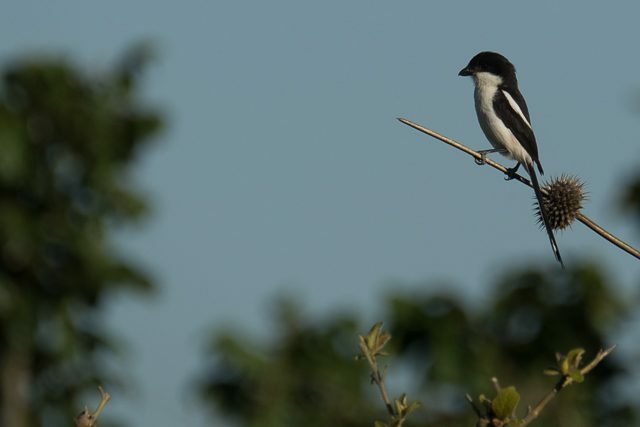 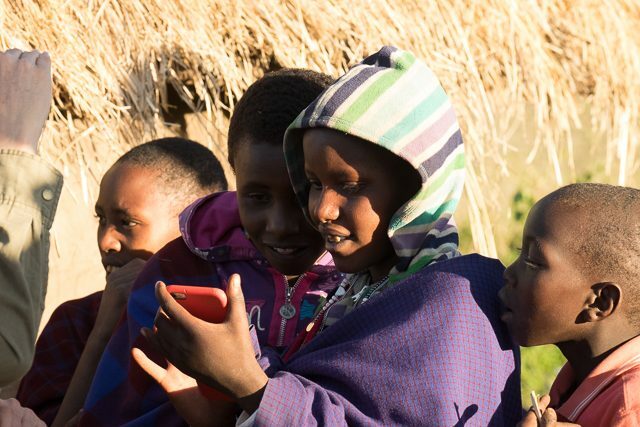 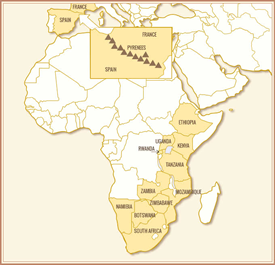 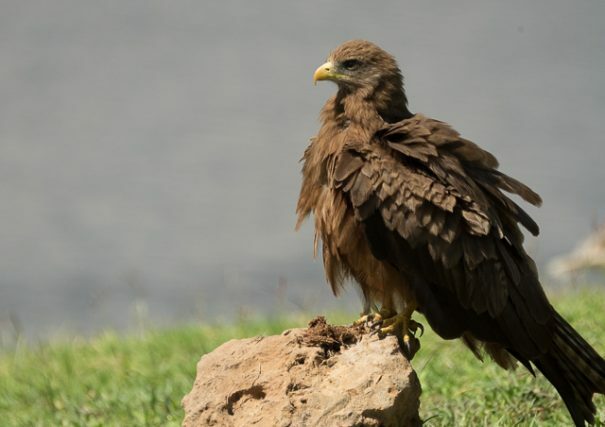 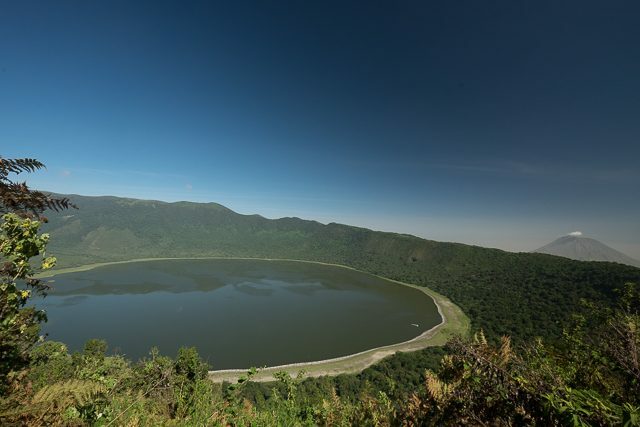 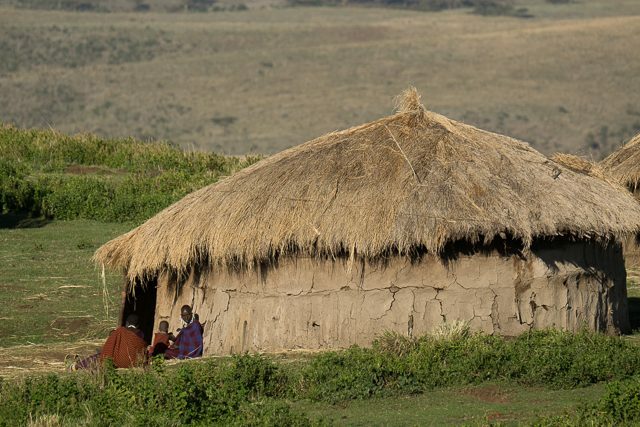 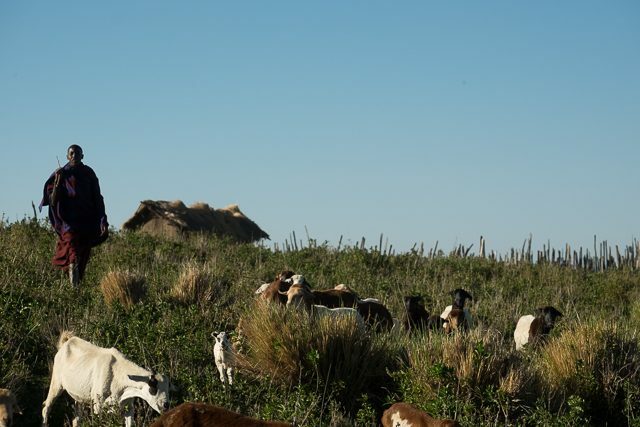 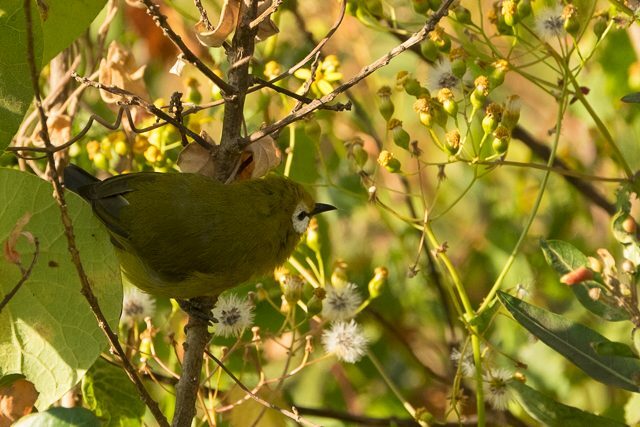 One day can be occupied with visiting Ngorongoro Crater, and the other can focus on some of the other activities possible from here, namely a visit to a Maasai village, or hiking trips to either Olmoti Caldera, or the truly stunning trip to the rim of Empakaai Crater, where on most days the active volcano Ol Donyo Lengai is clearly visible, and a hike down into the lake-adorned Empakaai is a rewarding workout since you have to hike back up! 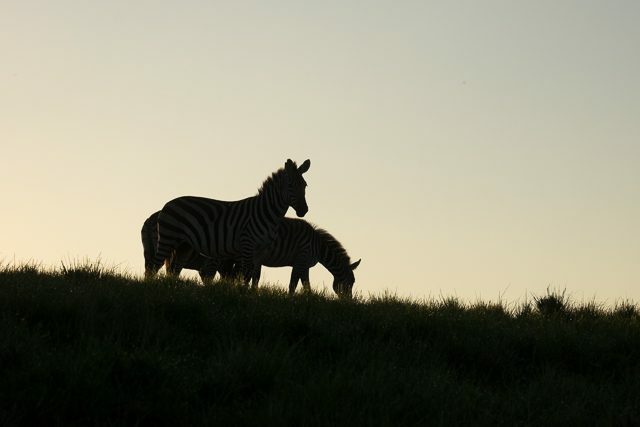 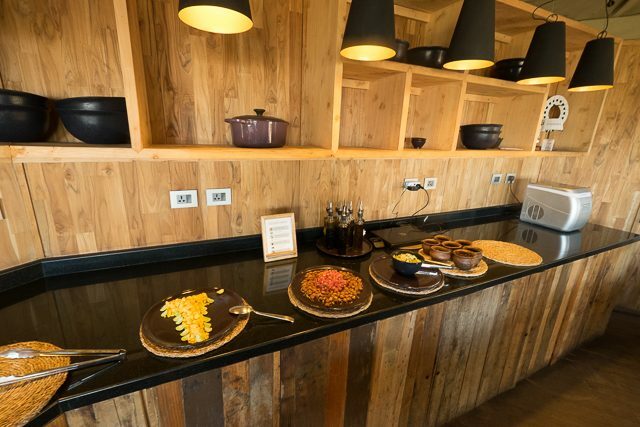 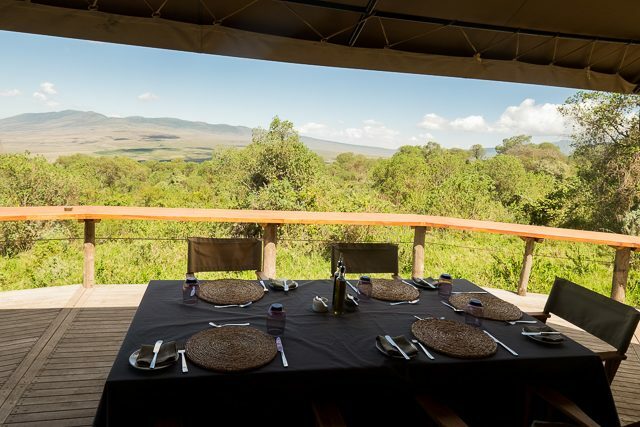 A stay at The Highlands will impress upon you its unique structures nestled in the highland forest, the outstanding scenery, and a sensation of having really escaped from the bustle of Ngorongoro Crater, while still being in easy access.